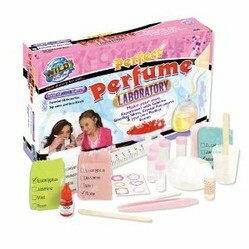 Discover which are the best science kits for girls to get them interested in learning more about science. Science is an important subject at school. It can also a good career choice for students who get "bitten" by the "science bug". But many of the science kits made are targeted towards boys. Unless a girl is really interested in science these boy-targeted kits might not create any enthusiasm. 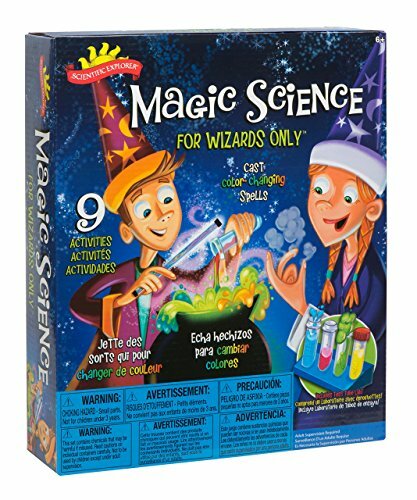 There are some science kits that are more interesting for girls who have either been bitten by the "science bug" or are still needing to develop enthusiasm for this school topic. 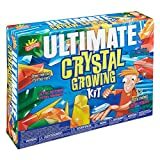 Growing crystals is a fun and rather amazing hobby. 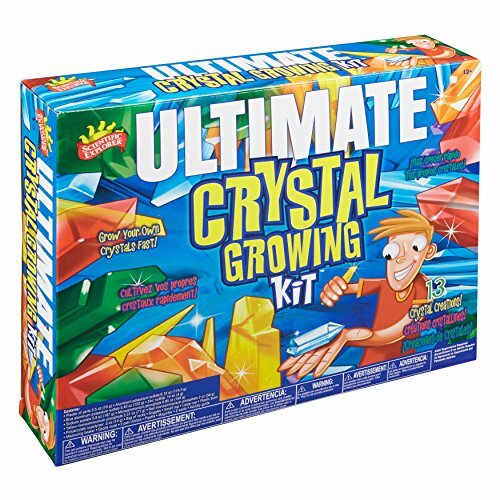 The Scientific Explorer's Ultimate Crystal Growing Science Kit has 15 exciting crystal growing activities for girls. You can even grow giant crystals. This kit is especially good for kids because there's almost no waiting. You can see impressive results within 2 or 3 days. So there's no boring delay while you wait for the crystals to grow. This makes a great way to encourage a love of science, in this case geology, in girls. Harry Potter has made wizardry cool for both girls and boys. The Magic Science for Wizards Only kit by Scientific Explorer's could come out of a Hogwart's classroom. It has everything a student wizard needs to do 11 magical activities. You can do things like create magical potions, cast color changing spells, make smoke appear from your fingers and even make your own personalized magic wand. The kit comes with things like an instruction booklet, lab equipment and some mysterious powders for wizardry. Butterflies are always a favorite. 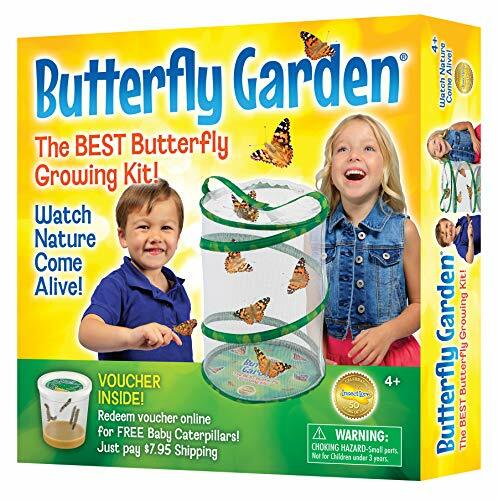 The Insect Lore Live Butterfly Garden is a science kit that takes the butterfly experience from chasing them around a garden to getting to see butterfly metamorphosis right up close. Once the caterpillars have become butterflies girls get the fun of feeding and caring for them. They can also release them into "the wild" if it's Summer. The butterflies you get with this kit are beautiful Painted Lady butterflies. A lovely science kit to understand biology and the life cycle. This Science Wiz Light Kit is a fun way to get girls interested in physics. This area of science is often of little interest for girls. Learning about physics in school can be dry and boring. This kit makes physics fun with girls can making things like a kaleidoscope. This is a kit that adults find fun too. Which is good because some of the experiments should have adult help or supervision. Many girls are fascinated by the human body and how it works. (I was one of them.) 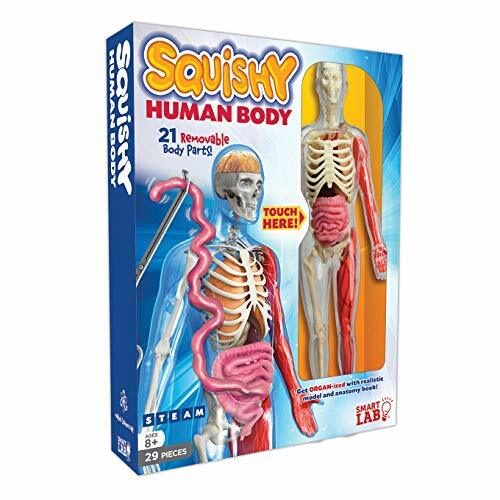 The Squishy Human Body science kit is a good one for girls who have this interest. This is because it's a hands on activity that gives a "mini doctor" eyes view of the human body. Kids (both boys and girls) learn really well in this hands on way. It makes it more fun and it's easier for kids to understand and remember what they are learning. So it's a great idea for any girls who are budding doctors. Finally if your daughter (or the girl you are buying for) is a real girly girl you can't go wrong with the Wild Science Perfect Perfume Laboratory. This is an award winning toy that's part of the Girl's Science Collection. So it's especially designed to capture the interest of girls and encourage a love of science. 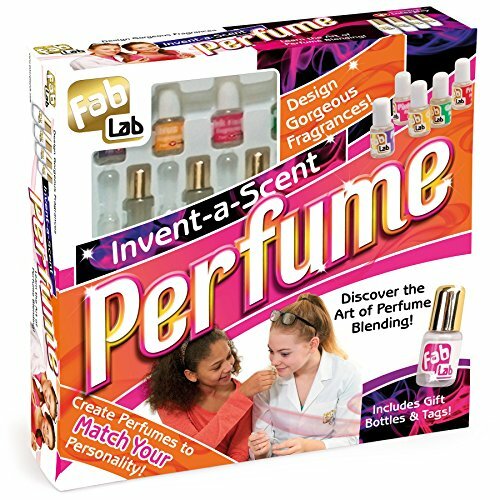 It's a science kit that lets girls create their own formulas for gorgeous scents.They can extract scents and then use the perfume to create custom perfumes and potpourri. Girls can even create special names for their perfume discoveries. They can also have fun with things like scented crystals.